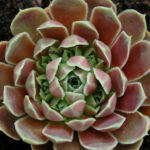 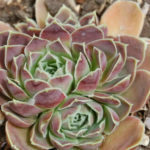 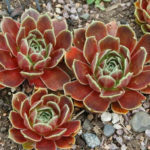 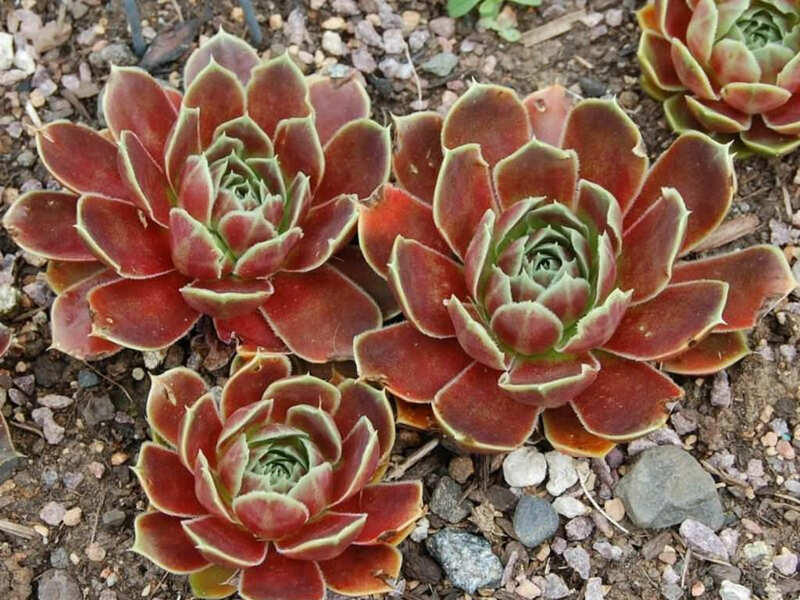 Sempervivum heuffelii ‘Purple Haze’ is a perennial succulent with a unique rosette of flat, rounded leaves with pointed tips. 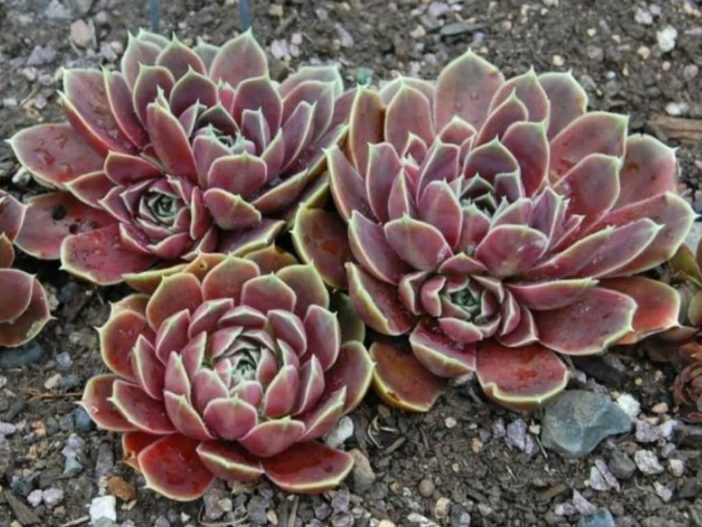 The rosettes are up to 6 inches (15 cm) in diameter. 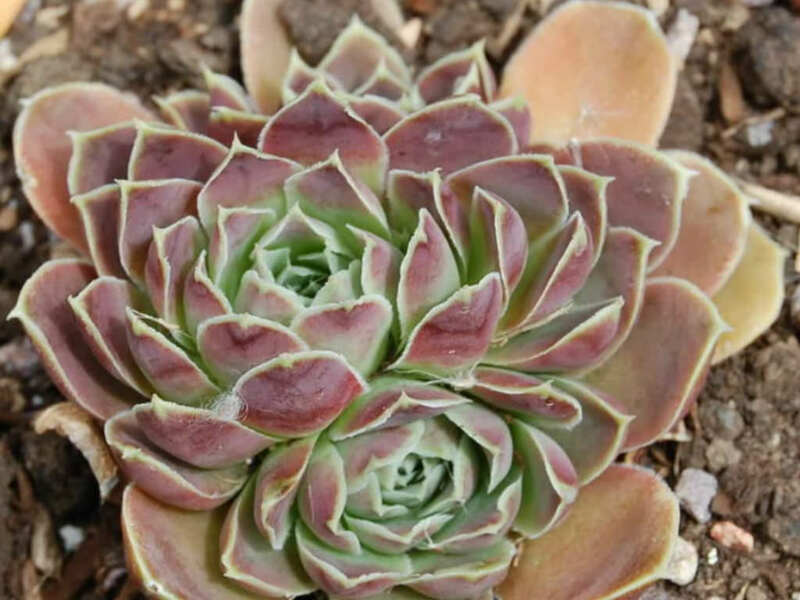 The leaves are grey to green with a dark purple hue. 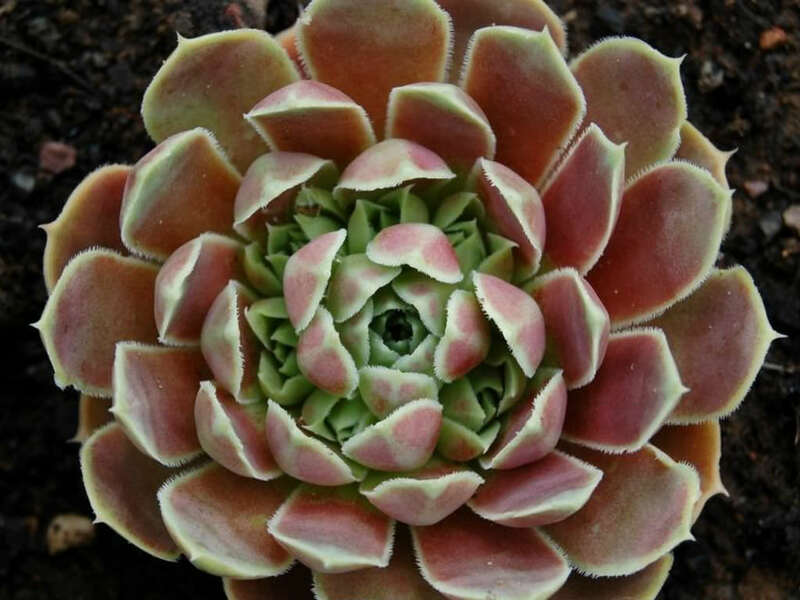 Sempervivum heuffelii ‘Purple Haze’ is a cultivar of Sempervivum heuffelii.